We are delighted to announce that IMPOWER has been shortlisted for the MCA award for Change Management in the Public Sector with Coventry City Council. 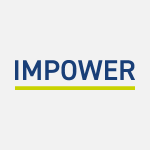 IMPOWER is proud to have worked closely with Coventry City Council to develop an improved relationship with parents and implement a new service solution where parents play a more active role in the travel options available to their child. Visit the MCA website to see the shortlist.